Our guest: Laura Logan is an illustrator based in Austin, Texas, whose debut solo picture book, Little Butterfly, is out this week from Balzer + Bray. The Proust-Esque Questionnaire is based on a set of 36 standardized questions designed by Marcel Proust in the 1890’s to give an overview of the respondent’s personality. Our goals are less lofty, but hopefully will provide some insight into how your favorite authors and illustrators work and what they love. 1. 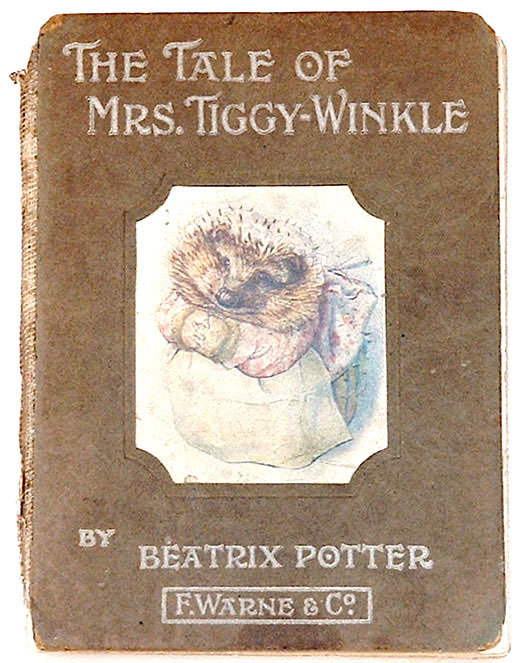 WHAT IS YOUR EARLIEST MEMORY OF CHILDREN’S LITERATURE? Poring over The Little House by Virginia Lee Burton. Where the Wild Things Are, Snowy Day… The images from these are burned into my memory. Rumpelstiltskin, the Edward Gorey version—it frightened and enchanted me, and I had a little record that went along with it. And nearly any Golden Book; especially Garth Williams, Tibor Gergely and J.P. Miller’s illustrations. I remember my mom reading lots of Dr. Seuss to me. 2. WITH WHICH CHILDREN’S LITERATURE CHARACTER DO YOU MOST IDENTIFY? Fern, from Charlotte’s Web. Sometimes Wemberly; I’m a world-class worrier. 3. WHO IS YOUR FAVORITE CHILDREN’S BOOK AUTHOR? ILLUSTRATOR? I can’t have one favorite, I love too many to name. Sometimes it’s because of the writing, sometimes the illustration, and sometimes both. 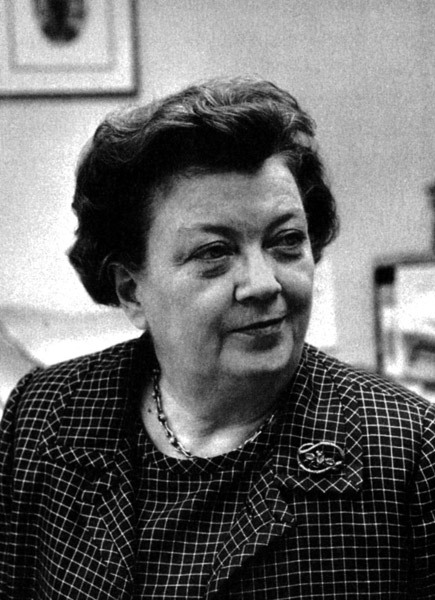 Virginia Lee Burton (below, right), Ruth Krauss, Mary Blair, Holly Hobbie, Harry Horse, Janet and Allan Ahlberg, Arnold Lobel, Beatrix Potter, Mary GrandPre, Taro Gomi, Giuliano Ferri, Christopher Denise, Delana Bettoli, Holly Berry… I could go on, but I’ll stop there. These are authors/illustrators who excite me, and make my heart beat a little faster when I pick up their books. 4. IF YOU WERE TO THROW A KINDERLIT PARTY FOR FIVE GUESTS, WHO WOULD YOU INVITE? Anyone from the above list, plus Leonard Marcus, Ursula Nordstrom (left), and maybe Dumbledore. 5. WHICH QUALITY DO YOU THINK IS MOST IMPORTANT IN GOOD CHILDREN’S LITERATURE? A great story, something created with one’s heart. 6. IF YOUR OWN WORK HAS A DEFINING CHARACTERISTIC, WHAT WHAT IS IT? Warmth and feeling, I hope! 7. IF YOU WERE TO DIE AND COME BACK AS A CHARACTER FROM CHILDREN’S LITERATURE, WHO WOULD YOU LIKE IT TO BE? Hermione Granger, Frog or Owl (Arnold Lobel), or maybe Miss Tiggy-Winkle… I would like to live inside her water-colored world. 8. IF YOU COULD GO BACK AND REDO ONE THING IN YOUR WORK, WHAT WOULD IT BE? To believe more in myself and trust my instincts. I’ve always considered myself a late-bloomer, it takes me a little longer to get where I’m going. 9. WHAT IS THE GREATEST PIECE OF ADVICE YOU WERE EVER GIVEN? 10. DESCRIBE YOUR WORK PROCESS. I start as soon as I’ve gotten my kids to school… Typically begin with lots of coffee, then sketching and more sketching. I like to figure out what my character looks and acts like, and then I can imagine them in the book’s setting. I begin with pencil and watercolor, then scan to my computer and paint again in Painter. 11. TELL US ABOUT A BOOK THAT, FOR ONE REASON OR ANOTHER, HAS NOT FOUND A WIDER AUDIENCE. 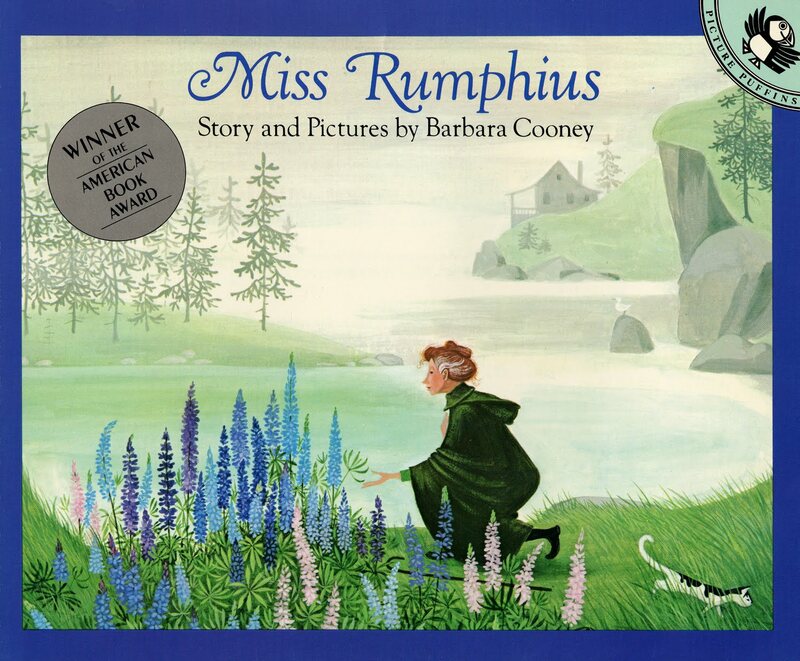 Miss Rumphius, by Barbara Cooney is one of my favorites. Doing something to make the world a more beautiful place for others. What a lovely thought. The Gardener by David Small + Sarah Stewart. The Little House by Virginia Lee Burton and I Can Fly by Ruth Krauss and Mary Blair, because of their timeless design and brilliant illustrations. And Each Peach, Pear, Plum by the Ahlbergs, because of my children. Owl Moon, by Jane Yolen; I can’t read this one aloud to my kids without crying, it creates such a mood, and is so beautiful. Out of the Dust, by Karen Hesse; moving and mighty powerful. She paints with words. I would grab all of these and many more if the house was on fire. 12. TELL US ABOUT A BOOK YOU LOVE THAT, FOR ONE REASON OR ANOTHER, HAS NOT FOUND A WIDER AUDIENCE. Unsure if this was a well-known picture book or not, but it was #1 in my house. 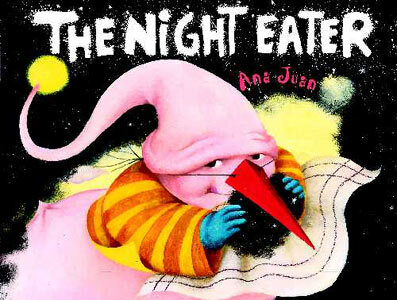 The Night Eater, by Ana Juan. I’d take bedtime story requests from my children, and this one was always “it.” The illustrations are divine and it was a perfect bedtime story.